ABCD connects low-income families with dentists who know how to care for young kids, preventing tooth decay early and educating parents about how to take good care of their children’s teeth. Who accepts Medicaid in your area? Who sees adults? Children? Is anesthesia available? Check this handy guide for answers to these questions. The directory provides a list of dentists who provide dental care to patients with developmental or acquired special needs. In Washington State, Medicaid is called Apple Health. Apple Health provides preventative care and many other health care services. Check to see if you are eligible. The Premium Payment Program may provide reimbursement for private health insurance coverage for those receiving Apple Health (Medicaid). See if you qualify to receive reimbursement for private health insurance coverage such as through an employer or private policy. Liberty Medical Transport provides safe and dependable non-emergent medical transport services for the people of Walla Walla and surrounding communities. OODH works to improve the health and quality of life of Oregonians with disabilities through improved access to health care, health promotion, and increased community resources. People For People serves communities in nine counties by arranging transportation for people of all ages who are covered under Washington State Apple Health (Medicaid and CHIP) and have a current ProviderOne services card and need transportation to non-emergency medical services. See Gas Voucher Rules in English or Spanish. Keep your adult child over the age of 26 on your healthcare plan. SOS Health Services of Walla Walla is an urgent care facility that provides quality walk-in healthcare services to individuals without health insurance (or without adequate health insurance) in the Walla Walla Valley. SOS Health Services does not deny people access to services regardless of citizenship status or geographic location. Addus HomeCare Aides have provided in-home care services to older adults and adults with disabilities. 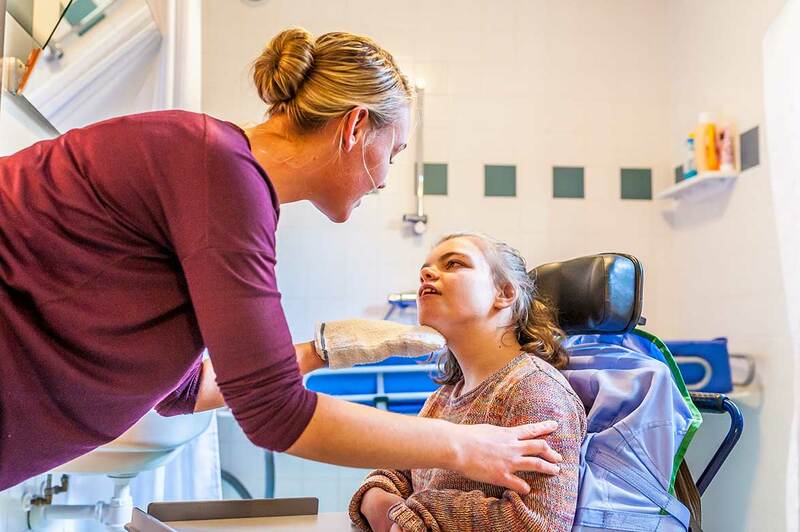 Our care plans cover management of chronic illnesses, recovery from an injury, illness or surgery or simply the need for assistance maintaining independence in daily life. Your consideration can start with our free in-home assessment. Our experienced staff will come to your home to discuss specific services you want and how they can be arranged to meet your unique and desired needs. ResCare is committed to finding innovative solutions to help seniors and individuals with disabilities stay in their own homes. Available 24 hours a day, 7 days a week, we work with individuals to provide health, home, and companion services. Our clinic is conveniently located on Alder Street, and we work with residents of Walla Walla and the Tri-Cities area. Functional Behavior Solutions, LLC provides ABA services in Walla Walla. BHA contracts with Behavioral Health Organizations to administer community mental health programs for Medicaid-eligible persons. Link to a list of books that have been found to be helpful to clients and promote discussions or skills surrounding mental health issues. Blue Mountain Therapeutic Riding is located in Lowden, WA and offers equine (horse) assisted activities and therapy to children and adults with physical, emotional and mental challenges. If you’re suffering from mental health challenges, the last thing anyone wants to go through is a lengthy trial and error process with multiple medications. The process can be frustrating and leave people feeling worse, not better. Pharmacogenomic testing can help empower your doctor with the exact information needed to prescribe you the best medication for you. NAMI’s mission is to improve the quality of life for all those affected by mental illness. Local affiliates in Walla Walla and Tri-Cities. Surely Goodness Health Care is a nurse practitioner practice that emphasizes wholeness. I am Shirlee Neisner, a dually certified family and psychiatric mental health nurse practitioner. I can provide health care with prescriptive authority to adults and children. My belief is that each person is responsible for his or her health. My role is to care, listen, encourage, and guide my patients toward making healthier personal choices. My goal is to work together in making decisions and choosing the best treatment plan. Since 1954, the Washington Elks Therapy Program for Children has provided home-based occupational or physical therapy to children with developmental delays or physical disabilities. Services are provided at no cost to the family served. See website for more details.